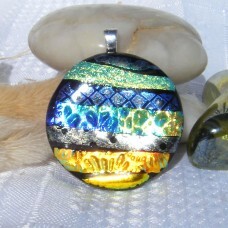 3 cm diameter. 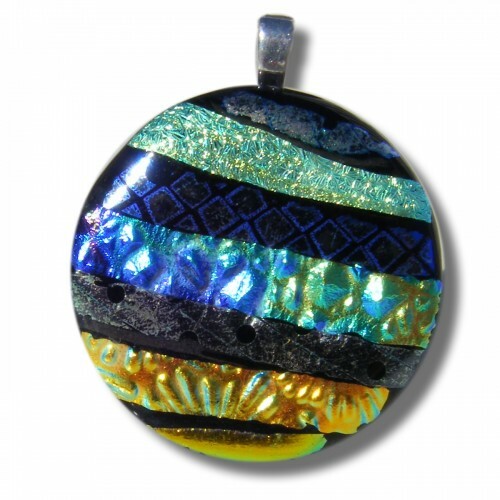 The design has been created by artistically placing individually cut small pieces of textured patterned glass side-by-side on a base then fused on top of a black base. 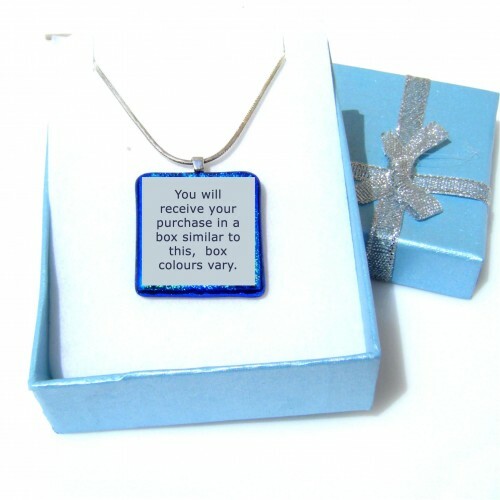 This creates a beautiful array of colours to go with any outfit. 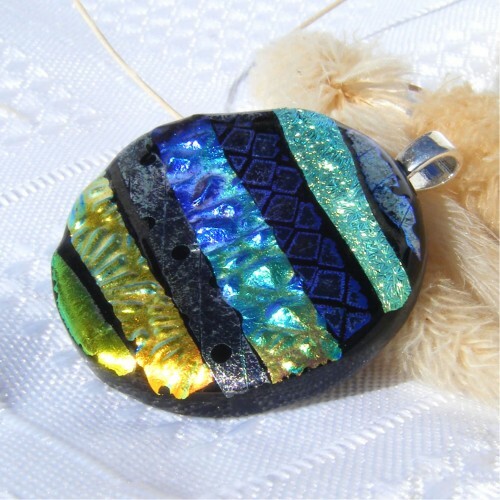 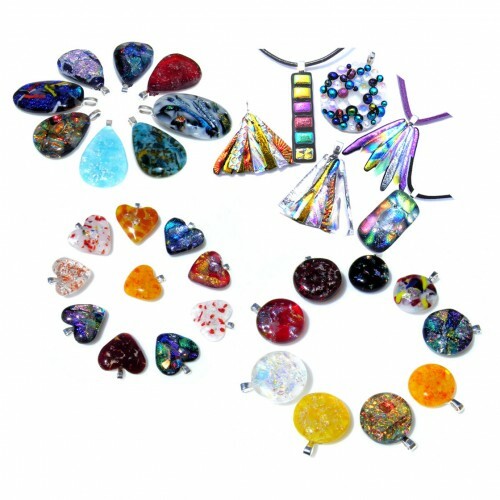 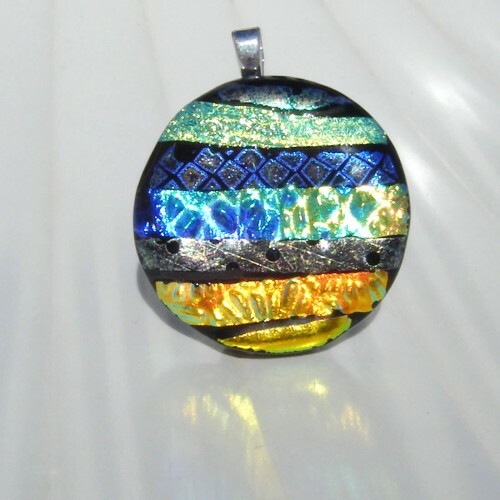 The raw dichroic is uncapped showing the vivid colours and textures. 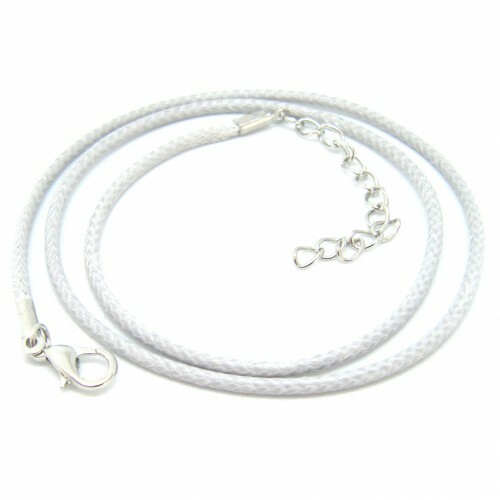 Complete with a silver-plated bail and extendable silver cord necklace with free pretty gift box.